I am currently offering the following PowerPoint presentations, which are based on my critically acclaimed books. Like my books, my lectures are both visually stunning and richly informative. Each PowerPoint slide lecture runs approximately 45 minutes followed by a question and answer period. I also am happy to sign any of my books that attendees want to bring. Any of the lectures can be expanded into a longer and more intensive seminar program, and I can also work with you to prepare a lecture specific to your programmatic needs and interests. 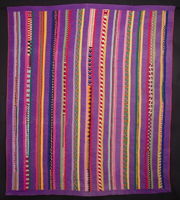 And, if you want to add to the program, I can examine and comment on antique or contemporary quilts that are brought to the event, either privately or in a group show-and-tell format. 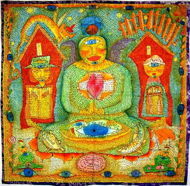 I have lectured at the New York Historical Society, the American Museum of Folk Art, the Museum of Arts & Design (NYC), the de Young Museum of Fine Art, the Fenimore Art Museum (Cooperstown, NY), the Kentucky Art Museum, the Washington State History Museum, the Katonah (NY) Museum of Art, the Whatcom Museum (Bellingham, WA), the New England Quilt Museum, the San Jose Museum of Quilts & Textiles, the Rocky Mountain Quilt Museum, and at many other institutions, exhibition openings, and quilt guild meetings. 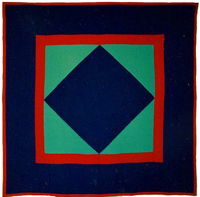 Quilts are the quintessential American folk art, known and loved throughout the world. 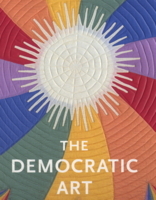 Based on my acclaimed book, American Quilts: The Democratic Art, this history of quilt traditions examines the bed quilt's origins in Europe, its development in nineteenth century America, and its deep social, ethnic, and gender meanings. 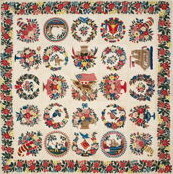 The comprehensive presentation includes outstanding examples by Amish, African-American, Native American, and Hawaiian quiltmakers as well as a wide variety of contemporary quiltmakers. 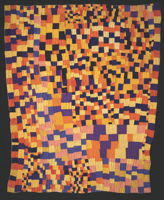 This presentation traces the development of the art quilt, exploring its roots in traditional quiltmaking and other textile and visual arts and then looking at the beginnings of the modern "art quilt movement" in the 1960s, '70s, and '80s. 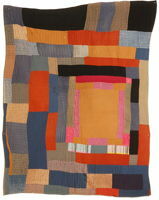 It includes ground-breaking work by such pioneers as Jean Ray Laury, Charles Counts, Radka Donnell, and Molly Upton, as well as a variety of work by contemporary masters from Michael James, Nancy Crow, Joan Lintault, and Terrie Mangat to Susan Shie, Pauline Burbidge, and Gayle Fraas and Duncan Slade. 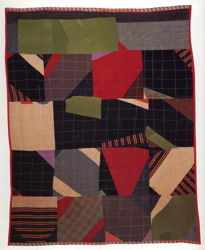 Throughout the twentieth century, a wide range of Anglo-American, Hispanic, Native American, and African-American quilters worked in improvisational styles that often resulted in strikingly modern visual effects. 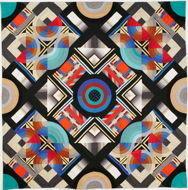 These quirky, scrappy pieces, created "under the radar" of mainstream quiltmakers and still little known and poorly understood, form a parallel universe of American quilts. 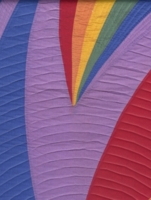 This presentation offers a broad overview of rarely seen work that is marked by fearless color combinations, asymmetrical compositions, and daring juxtapositions of uneven shapes. 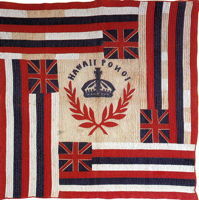 Bringing elements of their Polynesian heritage to the American quilt, nineteenth-century Hawaiians created a distinctive and beautiful craft that is still actively practiced throughout the islands. 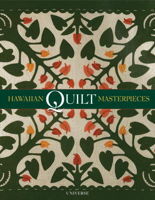 From the early influences of missionaries and traders, to annexation by the United States and subsequent statehood, to the current concerns of today’s quiltmakers, this presentation offers some of the finest examples of the islands’ fabric art and shows how the designs of these extraordinary Hawaiian creations are grounded in spirituality, the indigenous flora, and the visual expression of history. 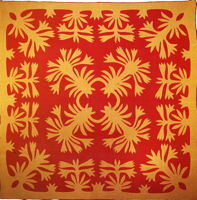 Women in Midwestern Amish communities from Ohio to Nebraska were no less inventive, creating distinctive variations of patterns they borrowed from their "English" neighbors as well as strikingly original designs all their own. How could people who determinedly lived apart from the modern world have created works of such expressive power and artistic vision? 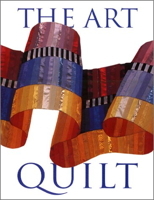 The answers lie in the world of the Amish, whose culture and quilts are explored in this enlightening presentation.